Cycle is a means of transport in most parts of plain region since many years back. This means of transport is cheaper so many mid-class people use it for travelling shorter distance. I do cycling. And you? 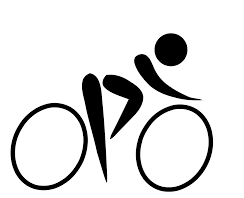 The cycling is nowdays increase its popularity as it also helps to reducing environment pollution or its better to say it is pollution free means of transport. The advocates of environment conservation and protection talks about benefits to environment as well when it's benefited to the health of person using cycle. Cycling is benefited to our health. As it's best way to reduce various disease causes by passive life style. Nowdays, active life style is reducing day by day as works and communication among people can be done from the room. Job holder in an office is usually get busy in his work for total days so they have insufficient time for physical exercise so for those type of people. It makes fit only by utilizing our time in between home to office or place of working and vice versa. If we prefer cycling rather than a public transport or car or bike it provides you with sound health and also help to keep your environment. You can even prevent loss of your money from your pocket for fuel purpose that can be utilized for fulfillment of other vital needs. You can also save your money for medical treatment as you would get fitter and your immuno system get more stonger to fight against simple viral diseases. There would no chance of getting over weight nor so weak. It is helpful to keep you in a right and balanced condition. pollution free and make healthy too.